In Bangladesh, the textile and garment manufacturing sector is fuelled by young workers, many of whom are extremely poor women and single mothers who have migrated from rural areas looking for opportunities for themselves and their children. With high demand for cheap labour behind the labels, women easily find work sewing clothes in factories. 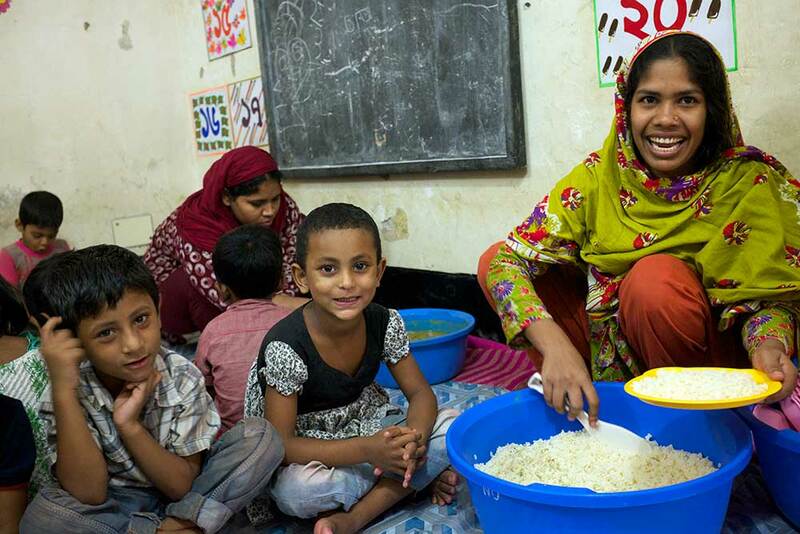 After experiencing a boom for years, the massive increase of work, though good news for Bangladeshi women who need it, is bad news for working mothers living without safe, affordable childcare. Very low wages (£45/ $63 per month) force mothers to leave extremely young children alone, or in the care of older siblings, or to put them at risk of accidents, trafficking and sexual abuse. 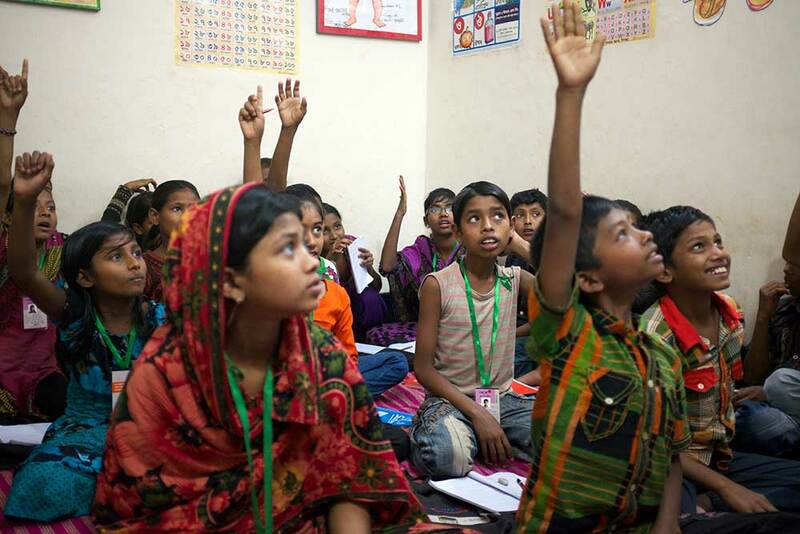 To stop this, close to the slums of Dhaka special childcare facilities have been set up to give child supervision and schooling to mothers working in the region’s clothing factories. Funded by TRAID, in 2013 ChildHope UK and local partner Nagorik Uddyog built centres to provide quality childcare and activities for 150 young children aged two to five years. For a further 250 street and working children aged six to 16 years, the centres provide drop in activities, skills training as well as basic education. The centre also provides free meals for kids who would otherwise be left to fend for themselves while their mothers were working. More than just daycare, the project also helps to support working mothers take action in bringing about lasting change to their working conditions and employment rights. Lobbying for improved salaries, working conditions, and for the introduction of crèches in the workplace are just some of the ways the project is highlighting the problems faced by women in the garment-making sector. In 2015, over twenty children from the care centres were registered for primary school and 51 older children from the drop in centres were registered for junior school. The offer of childcare is helping children into education and with it, breaking the cycle of poverty for working families – as well as pushing for a fairer and more sustainable fashion industry. 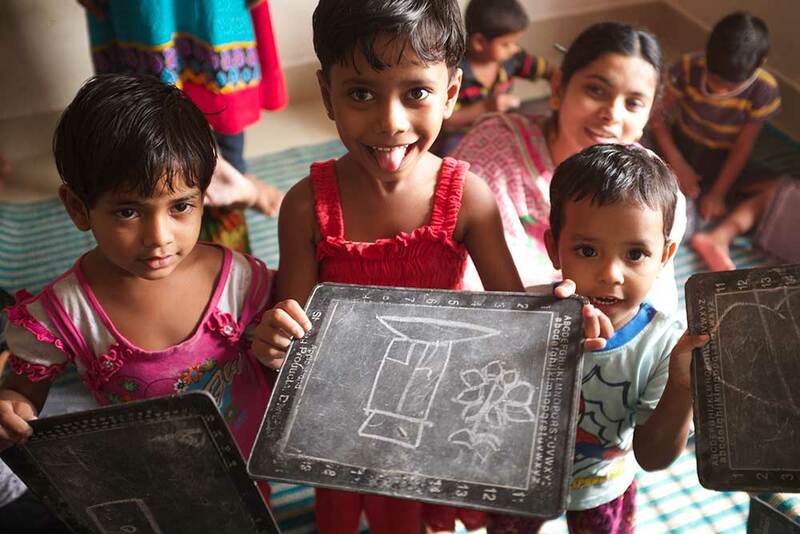 Supporting the Children of Garment Workers was mapped by Fashion Revolution‘s Carry and Orsola in their AtlasChart Top 5 – a journey through the founders’ favourite projects from Ireland to Bangladesh. Tags: Awareness raising, Bangladesh, Campaigns, Community, Economy, Employment, Fashion, Garment workers, Gender, Housing, Hygiene, Non Profits, Social inequality, Women, Youth. I reside in the Elephant Road(Katabon),here I see poor boys and even girls dropped off Schools,who are working in the small shops,who should be supported to go back to School.